On behalf of Admin of JML Law, A Professional Law Corporation posted in Sexual Harassment on Saturday, Aug 11 2018. It doesn’t matter who you are – when you go to work, you have the right to be in a place free from sexual harassment. It’s a shame that we have to say that in 2018, but as we’ve watched the “Me Too” movement spread across the country, we realize that there are still major changes that need to be made. 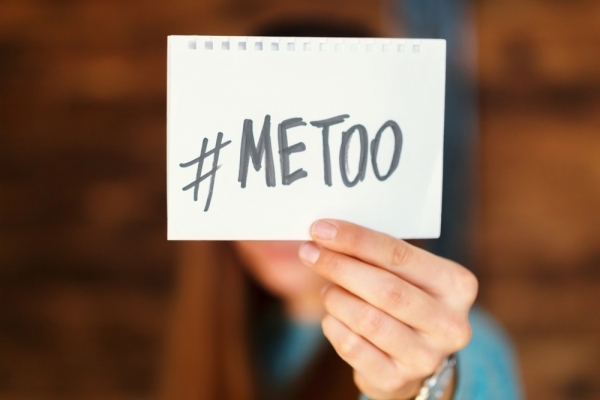 The good news is that the courts are starting to recognize and fully understand how deep and engrained sexual harassment is in the workplace. A California appellate court recently reversed a jury verdict that was in favor of a workplace manager. Why? Because the trial court originally refused to admit “Me Too” evidence in the case. You read that right – the trial court wouldn’t hear evidence against the manager of previous sexual harassment behavior. We now recognize that so much behavior that used to be considered “okay” in the workplace will no longer be tolerated. Sexual harassment is not something that just ruins part of your day. It’s not just a comment that someone makes that you laugh off. Sexual harassment is demeaning and can make life miserable for the person experiencing it. If it happens to you, it can leave you dreading going to work, impacting your financial and emotional well-being. Sexual contact in the workplace is wrong. At work, nobody has the right to touch, brush against, or kiss anyone, especially if the contact is unwanted and the person has been told to stop. Often though, sexual harassment behavior is more subtle. It comes in the form of a coworker making comments about what you are wearing or suggestions that you may be “good in bed.” It happens when a woman is told she looks nice and should wear clothes that show off her body. And it happens to men, too. Yes, both men and women experience sexual harassment in the workplace and it should be reported. Unfortunately, people who are being harassed are fearful of reporting it because they do not want to be retaliated against. They don’t want to have to continue to work around the person they report, so they just do nothing. At JML Law, we want you to know you have a voice and are protected by law. Our sexual harassment attorneys in Los Angeles are experienced in this area of law and want to ensure that you receive fair treatment. If you have suffered financially or emotionally because of sexual harassment in the workplace, we will work to get you the compensation you deserve. You can contact us by calling at 818-610-8800 for a free consultation. Nobody deserves to work in a hostile work environment, and that is exactly what happens when someone is sexually harassed. “Me Too” means it is time for us to stand up and take control of how we are treated. Whether we are at work or not, everyone deserves to be treated with respect and dignity.